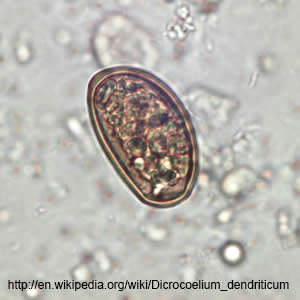 Dicrocoelium dendriticum is a parasitic flatworm commonly known as the lancet liver fluke. Its eggs are transferred from feces of the definitive host to snail which eat those feces. One inside the snail the parasites hatch and mature to the next phase of their life cycle. At this point they chew through the snails digestive system and cause all kinds of havoc. The snail encases the parasites in cysts and expels them from its body, but that was all part of the plan for the little liver flukes. The slimy cysts attract ants which will eat them. The parasites then infect the ants digestive system and grow. Once it is ready the parasite will take control of the ants nervous system. 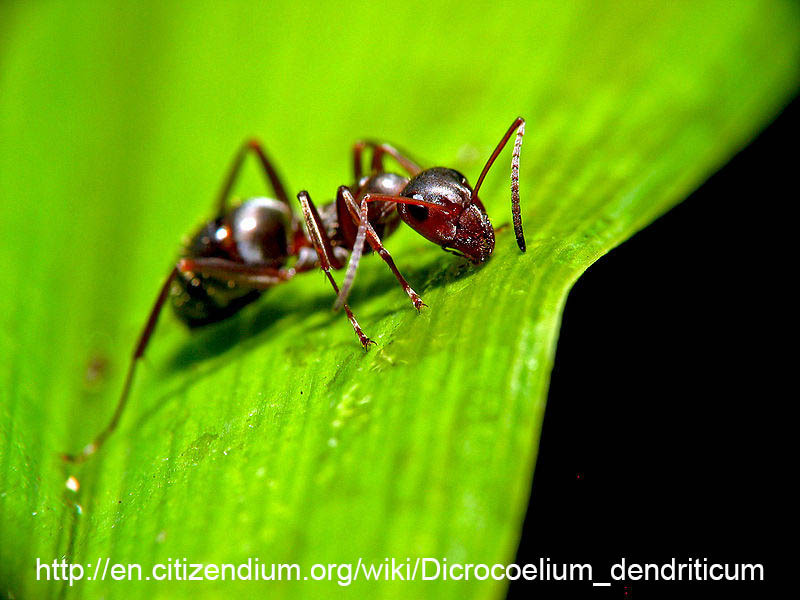 The ant behaves normally during the day, but at night it will leave the colony and wander off until it finds a nice blade of grass. It climbs the blade of grass and waits. If nothing happens it will return to the colony before the sun comes up. It will continue doing this until it gets eaten by a grass feeding animal such as a sheep or cow. This is the definitive host. If they manage to infect their definitive host they take residence in the liver and become adults, at which point they reproduce and their eggs are transferred to the feces. 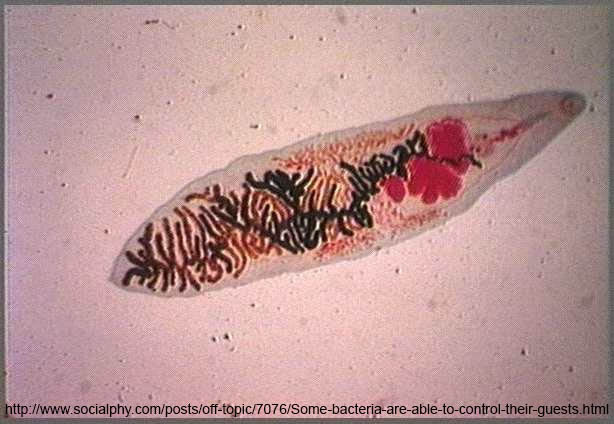 Lancet liver flukes can infect and mature in humans, but it is very rare. Symptoms in humans are very mild. 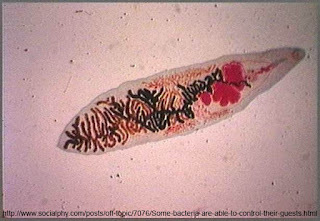 The native range of the lancet liver fluke is unknown, but they can now be found anywhere where livestock is grazed. There are currently 652 unused creatures in my backlog. If I can't thick of anything else to add to the list I will run out of material on 22/03/2017. If you have any creatures to suggest, please let me know, details are on the contact me page. This was last updated on 10/06/2015.